Revit Add-Ons: Revit Add-in Giveaway – The Award-Winning ViewSync! Revit Add-in Giveaway – The Award-Winning ViewSync! 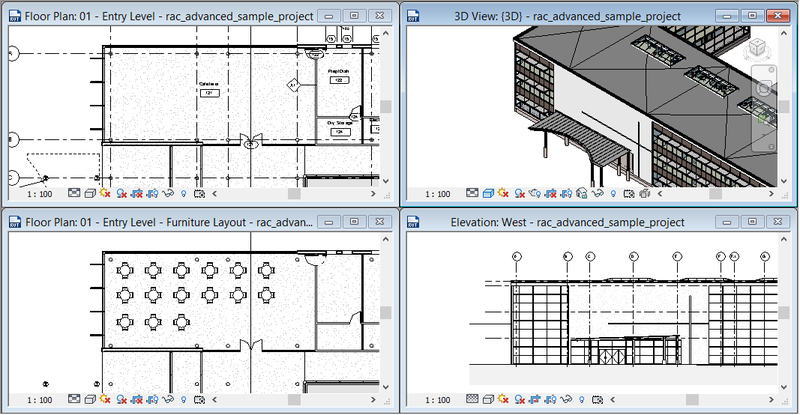 ViewSync is the Revit add-in that synchronizes open views with the active view. Zoom to an area in the active view and other open views zoom to the same area automatically. When zooming in plan views, ViewSync not only works across other plan views, but also ceiling plans, 3D views, and elevations! I like ViewSync – a lot – even going so far as to recently award it an Editor's Choice award. Now I'm happy to join the developer, Ken Marsh of Marsh API, in giving away 10 one-year licenses to ViewSync! Each of the first 10 people to complete the requirements above will receive one license of ViewSync which entitles you to use ViewSync on one machine subject to the terms of the End User License Agreement which accompanies the ViewSync software for one year from the date of your tweet.